Unfortunately, I'm in the same boat as you. I searched myself and couldn't find much else. However, here's the bright side. For starters, you have that list you posted, which I think was for ACE2 1.63. In all honesty, that's going to work for you most of the time I would think (ACE2 1.64 was really just an expansion). However, if you really want access to the most recent classlist, you have three options: 1. Unpbo ACE2 and look through for the classlists yourself. I would think they would be in there seeing that's how the mod interacts with the user's input. 2. You could try contacting former ACE 2 developers and see if they have any former documentation. I'm sure at least one is bound to have it (and if you ever do get a hold of it, please upload it if permitted). 3. If the first two options don't work, you can always try making a post on Reddit (Arma, not Arma 2 or Arma 3), Discord (Arma 3), and possibly Steam. Hope this helps. Machine learning / AI projects using ArmA? 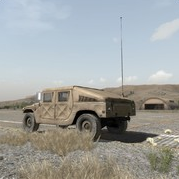 There are a couple groups that have their own custom overhaul mod for Arma 2: 1. Wargaming league uses KAI, some of the top AI in the Arma series. The AI possess both in-depth strategy and tactics. Makes for dynamic gameplay. Unfortunately, the group is private as with the mod. 2. XMOD is an entire overhaul to Arma 2 CO. It changes practically everything about the game, including an entire AI system. You can find many videos on YouTube of the mod (they regularly stream). In all honesty, machine learning AI is overkill. All you really need is a good FSM for the AI. Also, @ToxaBes, you should check out Smart AI since you seem interested in complex AI behavior: Firing from cover Maneuvering in CQB environment Fast and Deadly CQB Firefight Fireteam CQB Movement And no, machine learning was not involved with any of this. Also, behavior varies according to the situation, which makes it even more dynamic. Did you perform those tests with VCOM? Also, in what particular way did the AI actually improve? It's 2018 and the problem still exists, at least for me that is. Here's a video of the flickering: Has anyone found a viable solution other than regressing back to 1.60? I don't see why BI Devs can't simply make a fix to the LOD for 1.62, which most of the mods are compatible with, and 1.64, the final end product for Arma 2. I'm not asking for new features, just a fix to the LOD. AI must have better autonomy. Well, I'm already one step ahead of you. I fully plan on creating a proper AI mod for Arma 2. From what I've read, it's best to start off with simple scenarios and try to get the AI to perform specific tasks (e.g. taking proper cover when moving, stacking, etc.). Right now though, still learning C++ and SQF. If anyone wishes to help or contribute, I'm all for it. Guys, just use the Steam pics for now. It's accessible to everyone (since Arma 3 is only available on Steam), and it is quite easy to do. All I do is add the pictures I took to my screenshot directory on Steam. Next, I click on the pic in my screenshot folder (need to click it twice so a separate page opens) and then copy the link at the top of the page. Paste it in a thread here on the forums and it's all done (automatically displays image). But, I don't deny the great improvements that mods like VCOM, ASR, TPW, and others bring to Arma 3. I simply prefer Arma 2 AI (with mods of course). I'll have to get up a video sometime to show the comparison between the two. One thing I love about Arma 2 AI is that they actually use their binoculars for spotting targets. Also, their driving is much better. I don't usually see the AI using binoculars in Arma 3. And, driving definitely needs improvement. The one thing I do like better about AI in Arma 3 is CQB. The funny thing is that you could achieve incredible results with Arma 2 AI. Don't believe, here are some of the extremes that can be achieved with Arma 2 (KAI Mod) (videos are not mine): Stop and think about this for a moment. Someone managed to get the AI to operate like this...in Arma 2... BI, please prioritize your time on the AI!!! While I do believe the AI is seriously lacking in Arma 3, I recommend that you check out ASR. It's not perfect but it definitely improves the AI to some extent.